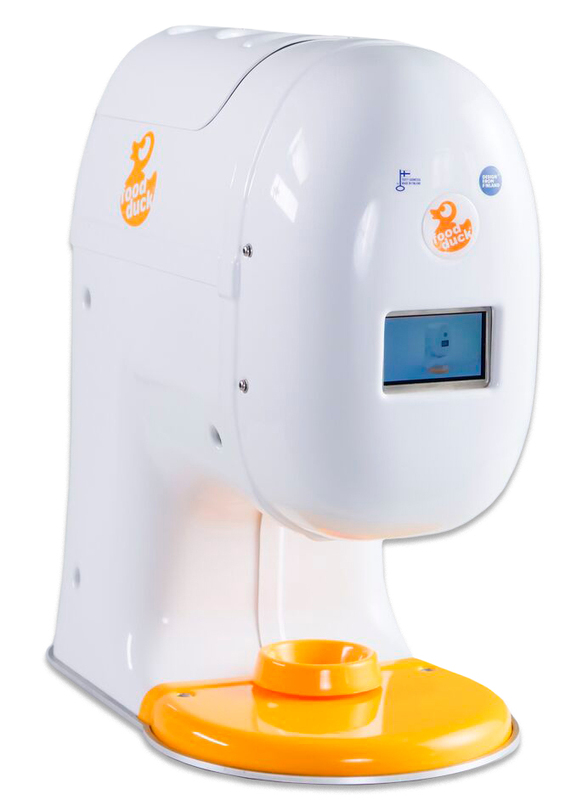 Gumstix Blog - Electronics News, Products, Latest Developments | Gumstix, Inc.
FOODDUCK is a Finnish innovation company and a pioneer of automatic dispensing systems in the line of schools, hotels and restaurants. They are in production with their first product, the FOODDUCK® Spread Dispenser and plan to lead this industry in circular economy, sustainability, and IoT integration. 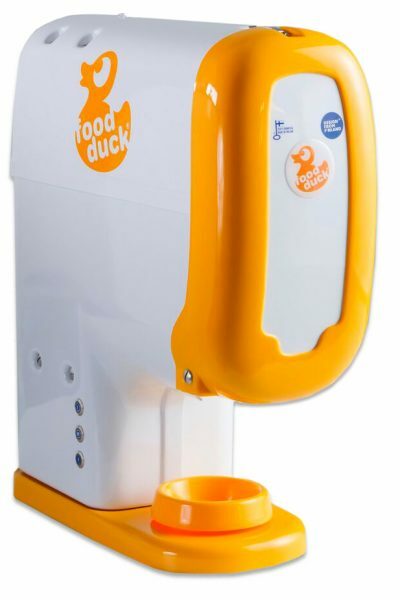 The FOODDUCK® Spread Dispenser is an environmentally friendly, sustainable, cost-effective, and hygienic alternative to canteens and breadboards. Their primary customer groups are currently located in Northern Europe in hotels, restaurants and schools. 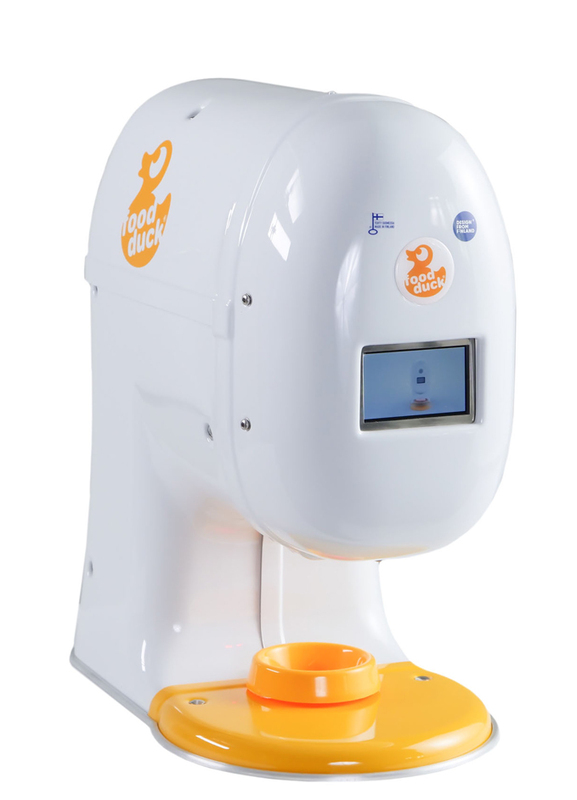 FOODDUCK is fully automatic and, if necessary, remote-controlled, enabling accurate data collection and automatically notifies headquarters when replacements are needed. The advanced FOODDUCK technology makes it possible to efficiently recycle packaging and eliminate loss. In addition, the exact dose size brings significant savings to the usage of the spread. For their first product release, Timo Sorsavirta, CEO of Foodduck Oy. and his team were searching for a supplier to support prototyping through to production. Gumstix and Geppetto looked to be a good fit for the first three FOODDUCK dispensers. The Gumstix Pepper 43C met the first four requirements, while Geppetto was able to provide easy customization of the board to the exact product specifications of the first board. This also made it simple to make modifications for the second board design requirements for the FOODDUCK Mobile. Geppetto offered a flexible solution that could easily be tailored to FOODDUCK’s specific needs. Foodduck has been pleased with the quality and the performance of the boards over the last 2 years. The only challenges they faced were created by the changing components on the other part of the FOODDUCK product which required a high-degree of customization at their end. FOODDUCK is continuously developing and designing new products to drive the automation of the spread dispenser industry. Their products tick many boxes in the list of future market growth requirements: circular economy, sustainability, and Internet of Things. The primary customer groups for FOODDUCK are in Northern Europe hotels, restaurants and schools. FOODDUCK has received the patent for the product in the European Union and in the US – the US in particular is naturally an attractive next market to target. AeroCore 2 for NVIDIA Jetson in action! On a beautiful summer day in Canada (where our Research Center is located), our engineer, Andrew Smith, decided to demo the AeroCore 2 for NVIDIA Jetson in the field. 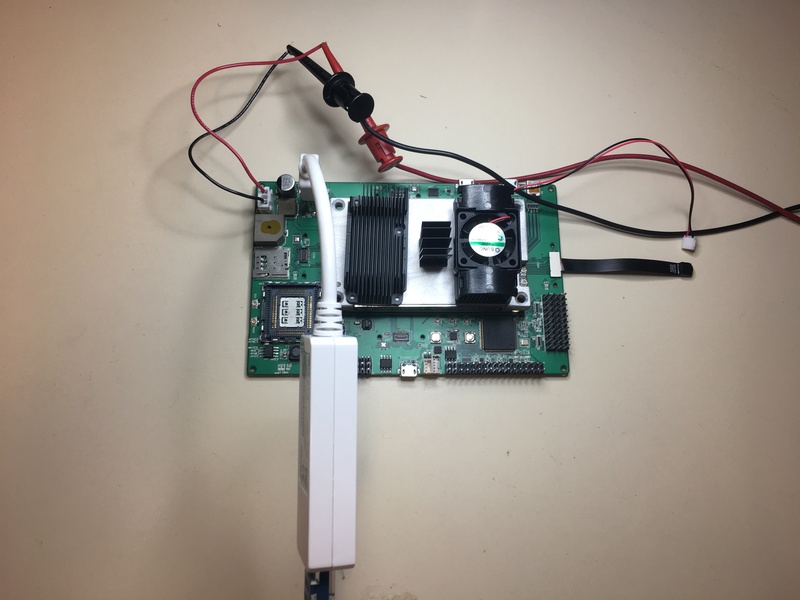 This board has our Caspa HD Camera and is running Tensor Flow for object detection and recognition. On top of our own testing, the AeroCore 2 for NVIDIA Jetson was tested by Technology Editor of Electronic Design, William Wong. We are giving you an opportunity to prototype 2 designs for 1 manufacturing fee. Yes, that’s right, you can order 2 different designs for only $1999 and with the same lead time of 15 business days. Simple, we want to help you get to market as fast as possible. We know how expensive and time consuming it is to compare which COM or processor you want OR confirm which components meet your requirements exactly. We want to help YOU do these things better, faster. Build 2 Geppetto boards for a single manufacturing fee of $1,999.00. Designs must be ordered at same time in one order. Each design requires a minimum order of five units. Use the discount code Geppetto2for1 at checkout to activate the offer. For a repeat order, standard setup fee will apply. See Geppetto Orders page. Offer valid until December 31, 2018. What are you waiting for? Start a free design today. I urge you to maximize this limited offer! This is our way of communicating to the world that Geppetto is not another online CAD tool. It’s MUCH more than that. Geppetto is here to make sure you get a custom board (not just PCB) you can work with in 15 business days. Too good to be true? Read Bruce’s Story. From a customer who used and loved it! Geppetto has been serving customers since 2013. In that time, we’ve had many customers, but it’s a challenge for us to find one willing to share their story due to NDAs. Without breaking any NDA, I interviewed Geppetto customer, Bruce R. Koball on his Geppetto experience. Bruce is an independent engineering consultant based in Berkeley, California, specializing in embedded systems hardware and software. With more than 40 years of experience under his belt, Bruce was impressed with Geppetto! He works on different kind of projects, often simultaneously. Right now, he is working on a cryptographic signing appliance based on the Raspberry Pi Compute Module 3. Originally, he was planning to design the board from scratch with an estimated cost of $20,000 USD for engineering, a project timeline of 6-12 months, and at least two spins of the PCB. Yes, it’s difficult, expensive, and it takes a long time to build a customized board. You found Geppetto, what made you decide to contact us? It’s an interesting approach and I wanted to learn more. I called customer support to see if Geppetto was real or smoke and mirrors. And, I am usually able to gauge vendors by how they interact with me. What made you decide to use Geppetto? After our call, I sent you a requirements list and that same day you sent back a preliminary design with a guarantee that what you delivered would work or Gumstix would fix it. It was too good to be true. I was ready to be impressed. How was the experience of designing using Geppetto? It was remarkably easy, especially with your support. It’s a building-blocks approach using modular functions that the designer selects from a library. Unlike using a traditional PCB CAD tool where one usually has to define every part of the circuit from scratch, Geppetto’s modules are complete functional circuits that are well characterized and ready to be inserted into a design; I am sure your engineers spent many hours building this library. All the designer has to do is define the functions required for the design, select them from the library, drag them onto the board, and satisfy the modules’ dependencies with a connect-the-dots interface. What are the things you want to change in Geppetto? I’d like to see more modules in the library; things like networking components (ethernet switches, etc. ), other I2C and SPI–based analog sensors, etc. Perhaps you could offer qualified engineers the ability to define their own functional modules; simple circuits like bit-banging logic functions or analog signal conditioning functions using an enhanced Geppetto interface, under NDA. What was the deciding factor in choosing Geppetto for the project? 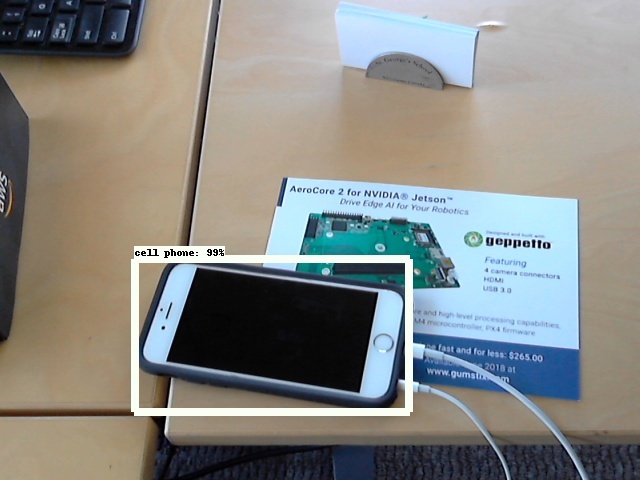 Your team answered as many questions as I had so that built confidence in the Gumstix/Geppetto system. But the key factor was the bottom line: the non-recurring engineering investment (NRE) and unit price for an assembled, tested board with a working Linux build was so low that it was worth a try, just as a proof-of-concept prototype, even if it didn’t work out for the finished product. Fortunately for us it yielded a finished working product for a fraction of our initial budget. After you placed an order and received your board, what was your initial impression of the quality and performance of the board bring up of the device? It worked the first time I powered it up. I plugged in a keyboard, mouse, HDMI monitor, and microSD card with the system image, and it booted Raspbian Linux right up. I was writing and running code on it immediately. I connected the ethernet to my network and it worked. I tested the peripherals (I2C GPIO expander, RTC, RS232 port, codec) and they all worked. I was so impressed I almost fell over! Were there any changes to project timeline and cost? It changed from months to weeks and from an estimate of $20,000 to roughly $4,000 (NRE plus 10 working boards). It saved us time and money. Would you recommend Geppetto to customers, colleagues, and friends? I already have! My engineering colleagues and friends were quite impressed when I told them the price point for an assembled, tested board, with a function Linux build. As I said earlier, it would be worth it simply as a proof-of-concept. The $2000 NRE cost is a bargain; a price point that most people would be more than comfortable with to get them to 75% to 100% of their project. Why do you think people should use Geppetto? If your collection of modules can solve their problem and meet their requirements, it’s a no brainer. Are you familiar with the phrase “shaving the yak”? It’s a metaphor for the seemingly endless series of small tasks that have to be completed before a project can move forward from one step to the next. Geppetto solves a lot of that for electrical engineers. How do you recommend or explain Geppetto to others? It’s a board design and manufacturing service using a browser-based CAD interface that allows customers to create a PCB using a “building-block” approach. The designer selects a set of predefined functional modules from an extensive library, satisfies each module’s dependencies by “connecting the dots,” then, after a minimal lead-time, receives assembled and tested units (with software!). It could not be simpler. Thanks for sharing your thoughts and time with us Bruce. It was a delight working with you and we couldn’t be happier to help you and your customer save time and money with your Geppetto board. If you’re looking for an embedded hardware and software consultant, be sure to let us know and we’ll happily refer you to Bruce. Are you a Geppetto customer who wants to share your story with us? Send us an email at sales@gumstix.com with the subject: Geppetto Success Story.